Iranian Foreign Ministry Spokesman Bahram Qassemi has expressed regret over the crash of an Indonesian passenger plane, which claimed the lives of all passengers, including several government officials. 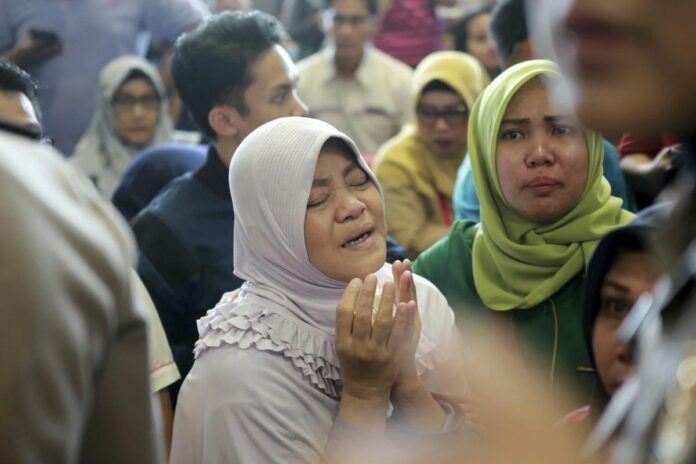 In his Monday statement, Qassemi also offered deep sympathy to the Indonesian nation and government and the families of the victims. A passenger plane with 189 people on board crashed into the sea off Indonesia’s island of Java, only minutes after taking off from the capital Jakarta. The Lion Air Boeing 737 lost contact with air traffic officials on the ground on Monday morning only 13 minutes after leaving the Soekarno Hatta international airport for Pangkal Pinang, the main city in the Bangka Belitung Islands, according to Indonesia’s National Search and Rescue Agency (SAR). “The plane crashed into water about 30 to 40 metres deep,” a spokesman for the SAR, Yusuf Latif told AFP. Officials say 189 people were on board, up from an earlier report of 188. There were one child and two babies among the passengers, according to the officials.